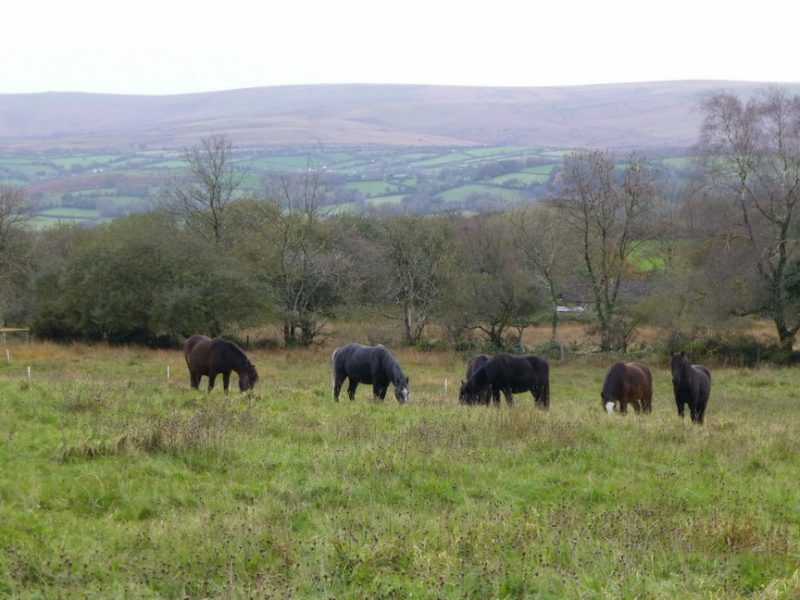 We came to this semi derelict farm on the Eastern edge of Dartmoor in 1960, needing to make a living from farming. We realised in 1963 (after the great blizzard) that a small dairy unit was not sustainable and moved to outdoor pigs and barley. 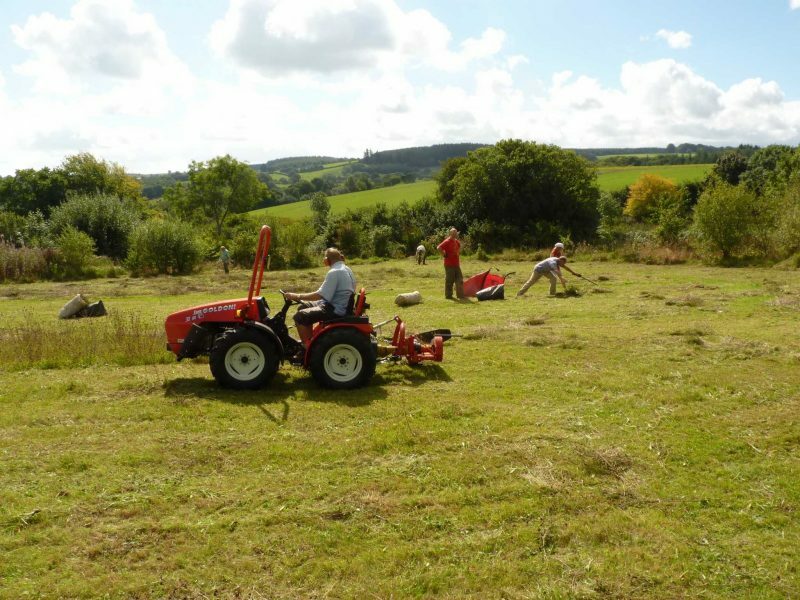 This served us well for 40 years by when much of the farm was effectively a nature reserve including 10 acres that has become a species-rich wet meadow. In 1960 the meadow called Goodamoor was rough grassland with gorse and rushes, we ‘improved it’ which then meant ploughing, liming and reseeding helped by various subsidies. 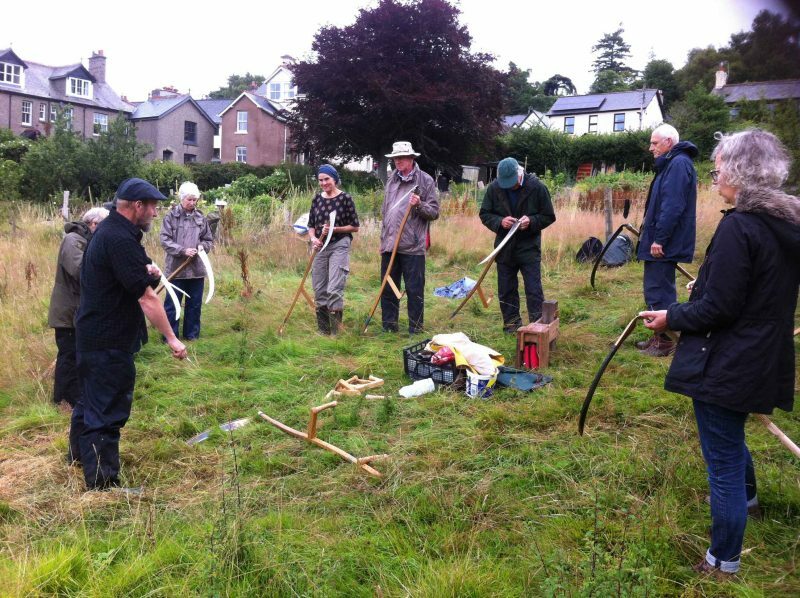 Later we used the field to carry in pig sows during the summer that resulted in mostly bare ground each autumn. When other areas became available we let Goodamoor green up which it did very effectively so that it could be cut late (in August) each year and so gradually reduce fertility. There were a few Yellow Rattle plants and these were increased first with seed collected locally and then by saving and spreading seed every year. 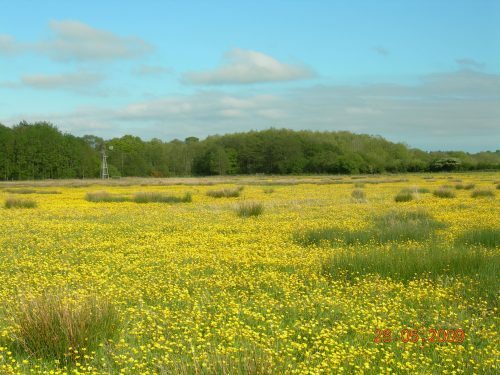 We noticed two flowering orchids in spring 2006, over 30 in 2008, 140 in 2010 and by 2012 there were over 300 and we stopped counting (a mixture of Southern marsh, Heath spotted, Common spotted and their various hybrids). 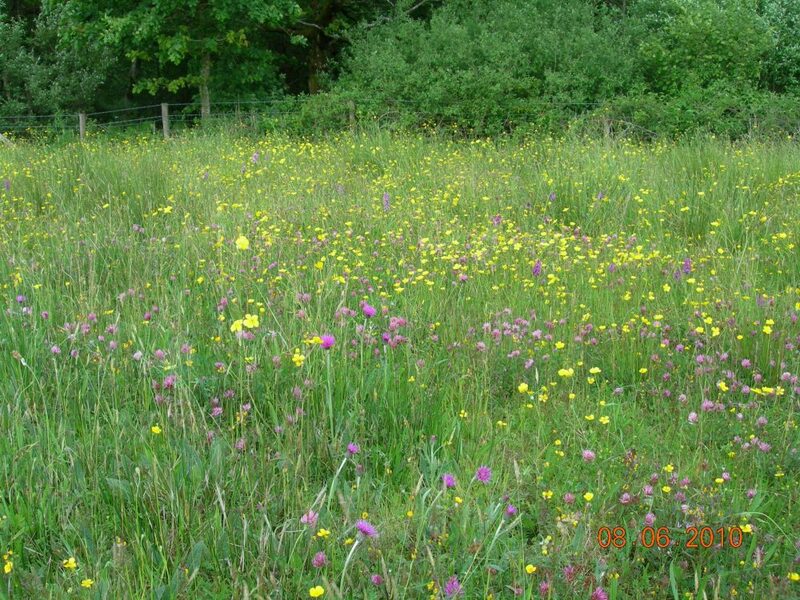 In 2010 we had spread some bales of hay from a Dartmoor meadow and these introduced Eyebright and probably some assorted grasses. The only other introductions have been Meadow Thistle and Devils Bit Scabious. Diversity has gradually increased, Yorkshire Fog replaced by Crested Dogs Tail and Sweet Vernal grass. Birds foot trefoil (Lotus corniculatus) has also increased producing many Six spot burnet moths each spring. The variety of plants is not immediately obvious, the majority do not have showy flowers, but the mix includes many grasses all sustaining a wide range of insects, which in turn feed birds. The rushes provide winter shelter for certain birds. We have Snipe and until recently Lapwings. 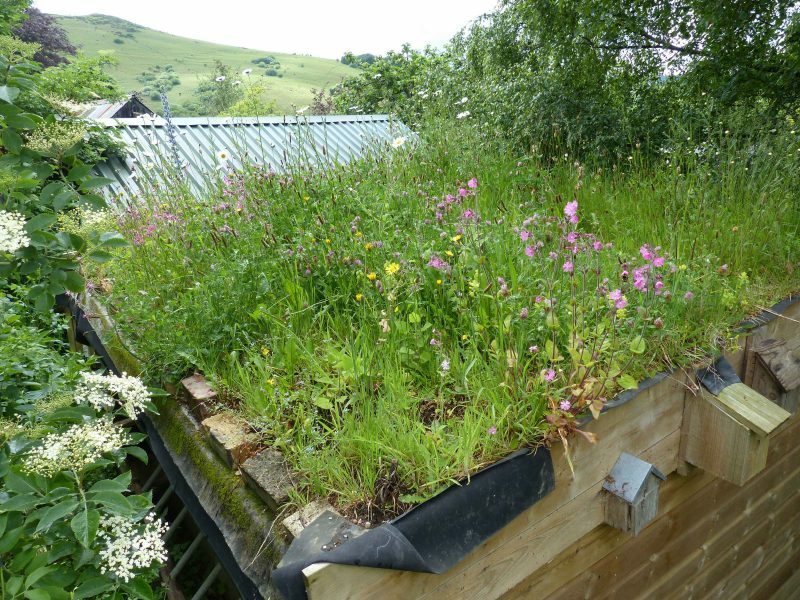 In summer it’s a home for hares, voles, grass snakes and an important feeding site for swallows and house martins.